I haven’t successfully been able to get a soaked sugar cookie recipe to turn out correctly, so we use this recipe instead. It makes sugar cookies or vanilla wafers equally well. We rarely consume unsoaked flour, so this is a recipe we only do once in a great while. These cookies are crisp and powdery. They don’t need frosting. You can frost them if you choose, but the ones we frosted were sugar over-kill and just too sweet. The nice thing about this recipe is that most sugar cookie recipes have a lot of starch in comparison to the amount of flour. This recipe has more than double the flour than starch. Because it’s carby, I also used stevia to replace some of the rapadura. It still turned out beautifully. If you don’t want to use stevia, omit it and use 1/2 cup rapadura instead, but do be aware your cookies will be darker. The key to rolling out a low-sugar, high-fat dough is to make sure it is very cold and flour your board well before you begin. I didn’t have trouble with this dough sticking since it had been in the fridge for an hour. Coconut oil will not work in place of the butter in this recipe. Because of its low melting point, the coconut oil would cause the cookies to spread too thin. 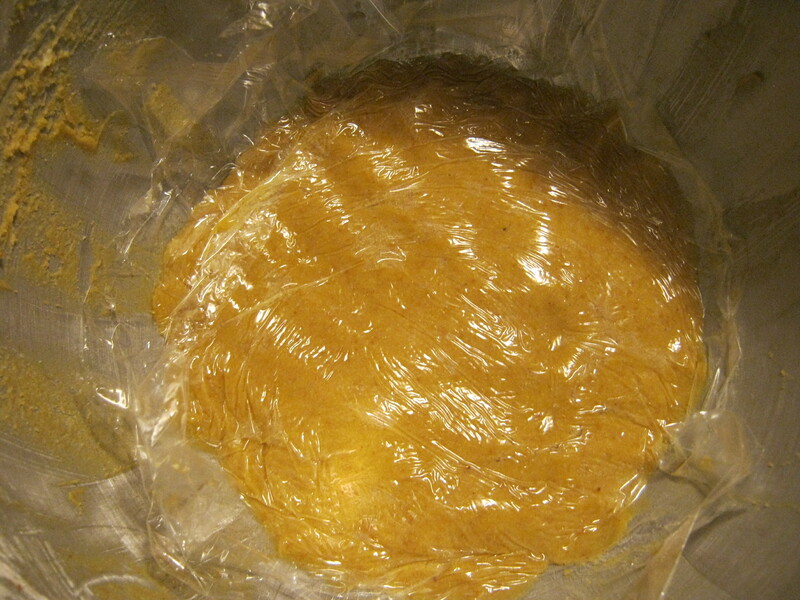 Here’s what the dough looked like after beating it until it was combined and uniform. Then I pressed it down and covered it with plastic wrap. Parchment would be a safer choice, but I’m out. 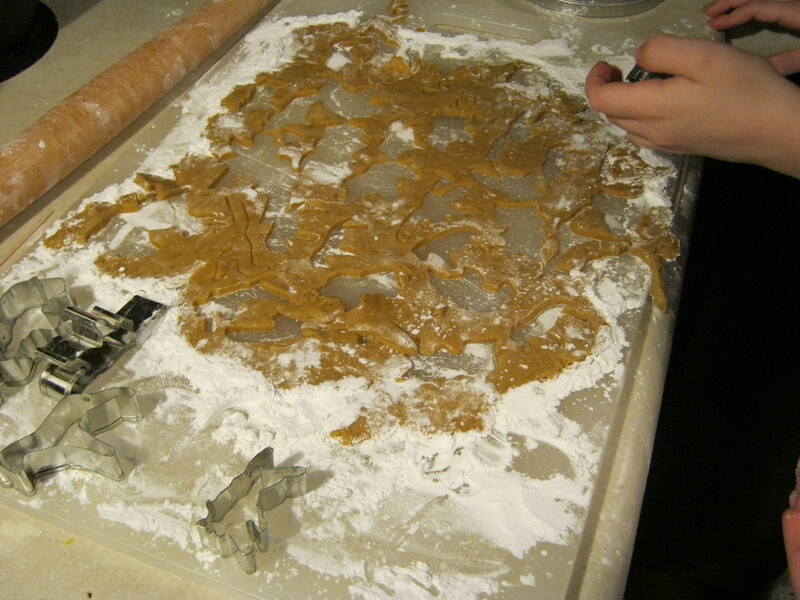 Then you generously flour your counter or a large cutting board and roll the cookies out, then start cutting. 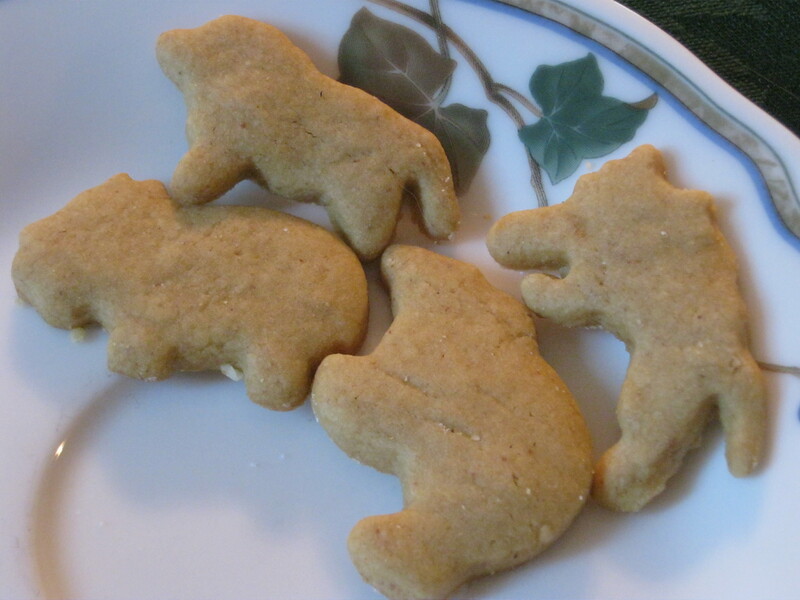 My kids decided on the animal cracker cutters over the Christmas designs. As you can see, when I said I generously floured the board, I wasn’t joking. We put the dough through being rolled three times in order to get it all used up. One of the nice things about gluten-free dough is you don’t have to worry about it getting tough when you roll it out multiple times. 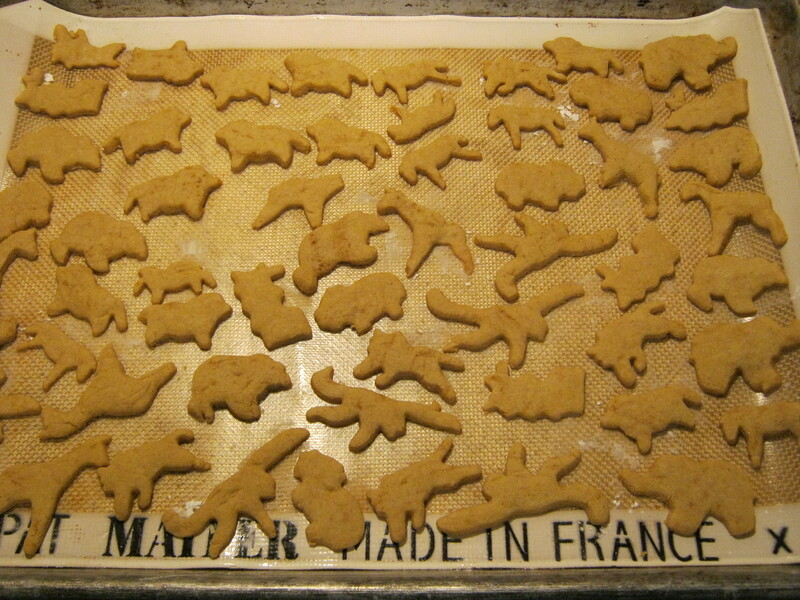 Transfer them to the baking pan. If you floured your rolling surface well enough, you’ll be able to pick up the shapes and move them by hand, without a spatula. You can also roll them into balls and press them flat with your hands or with a well-floured fork. Once they’re done, you let them cool until they’re cool enough to handle before moving them off the pans to cool completely. In a bowl, combine the flour, starch, salt, baking powder and stevia and set aside. 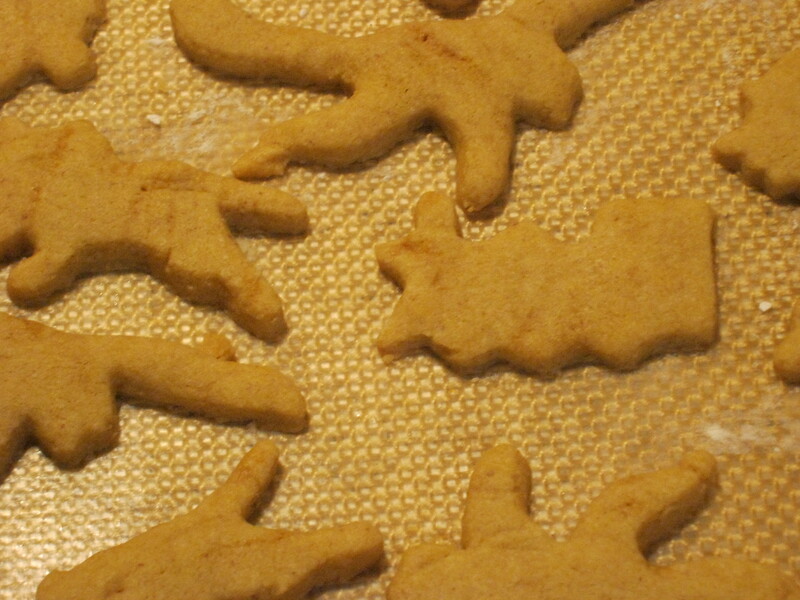 If you want very white cookies, you should only use a finely ground rice flour. I used a mix of millet, sorghum and buckwheat. 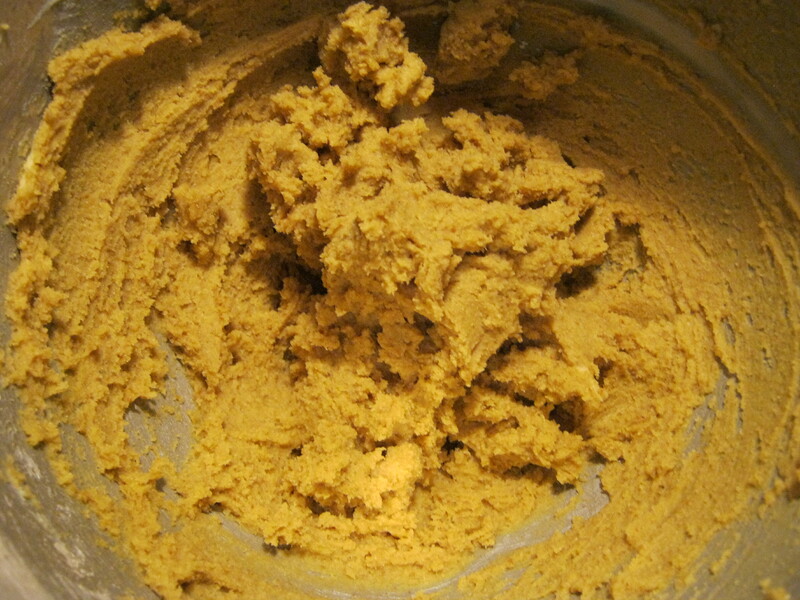 In the bowl of a mixer, beat the butter until softened. Add the rapadura and beat until combined. Add the egg, mix and scrape down the bowl. Then allow the mixture to sit for a bit to dissolve the rapadura. Add the vanilla and beat until combined. Stop and scrape down the bowl. Beat in the flour mixture on low then turn onto high speed until well-combined, stopping to scrape down the bowl once or twice. Stop and take out a small pinch of dough. If it rolls well between your palms without sticking, it’s good. If it sticks, add more flour. If it falls apart, add water or milk one teaspoon at a time and mix thoroughly in between additions until it holds together well and can be rolled cleanly. Once the dough is uniform, press it together in the bottom of the bowl and cover with parchment or plastic wrap. Chill until completely firm, at least one hour. Preferably several hours. Preheat your oven to 375 degrees. Line a cookie sheet with a piece of parchment or a silpat. 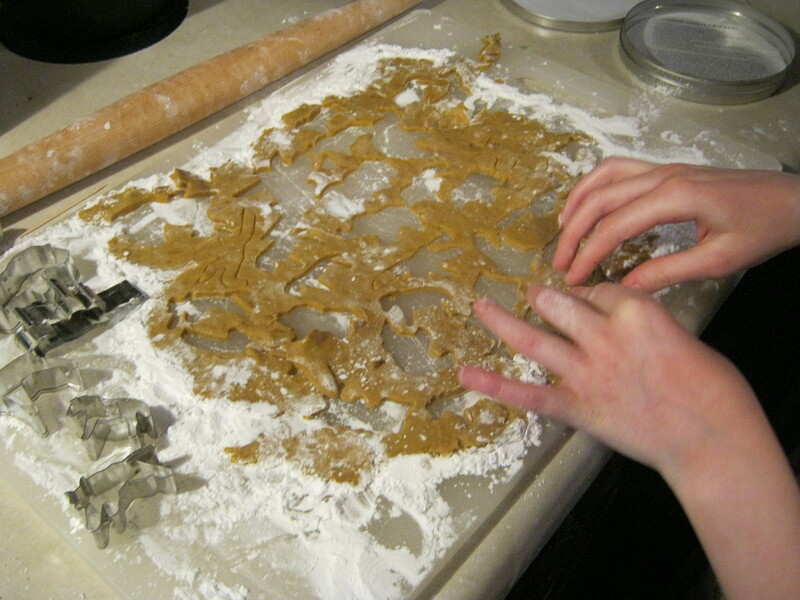 To make sugar cookies: When you’re ready to roll the dough out, generously flour your counter or a large cutting board. You can use flour or starch. Place half of the dough on top, then flour the dough. Flour your rolling pin then gently roll the dough out. 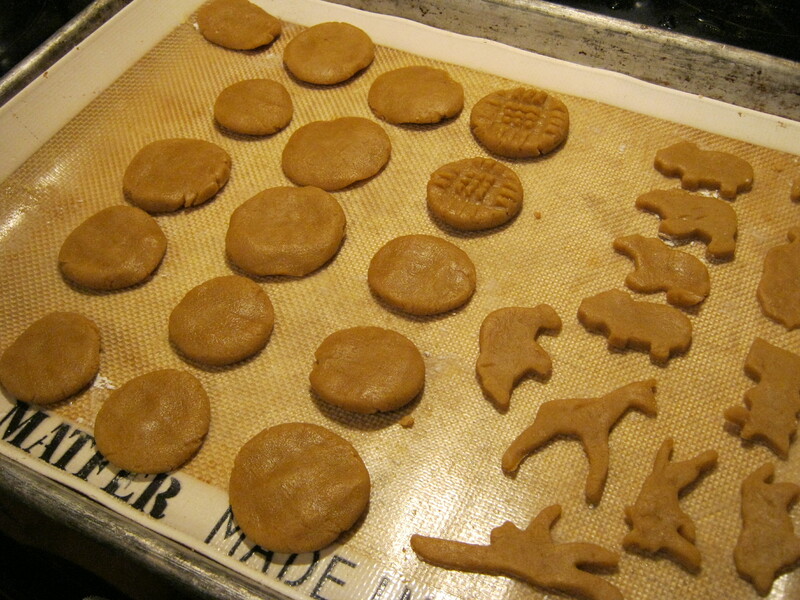 Cut out with cookie cutters and gently transfer to the lined cookie sheet. To make round cookies: roll the dough into balls and flatten between your palms or use a fork dipped into cornstarch to make a criss-cross pattern. Transfer to the lined cookie sheet. 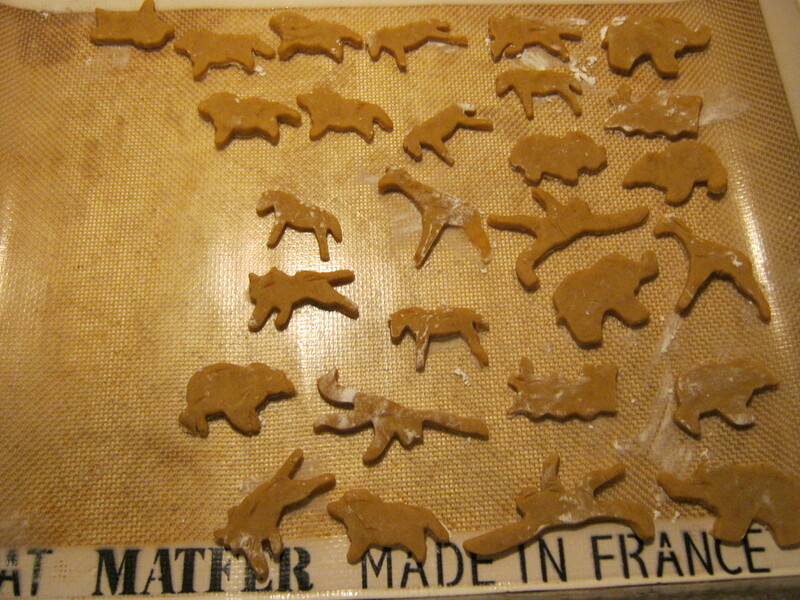 Bake cookies for 7-10 minutes, depending on their size. This looks like a great recipe Kerry Ann! Maybe it would be a good idea to sprout the grains and then freshly grind? Christine, my main flour is sorghum. It can’t be sprouted because it produces cyanide during the sprouting process. The freshly ground flour is safe to use, as is the flour that has been soaked less than 12 hours. I’ve tried baking with sprouted flours before, and by and large I am not impressed with them. It is a lot of labor and time for results that normally aren’t as good as using unsprouted flours. So instead, I just make an unsoaked flour dessert an occasional treat instead of a regular thing. Darlene, I believe arrowroot would work in this recipe. So to make this dairy free….what might work as a sub? Palm oil? I don’t use that regularly but perhaps it would be ok? I would use a high quality palm shortening.